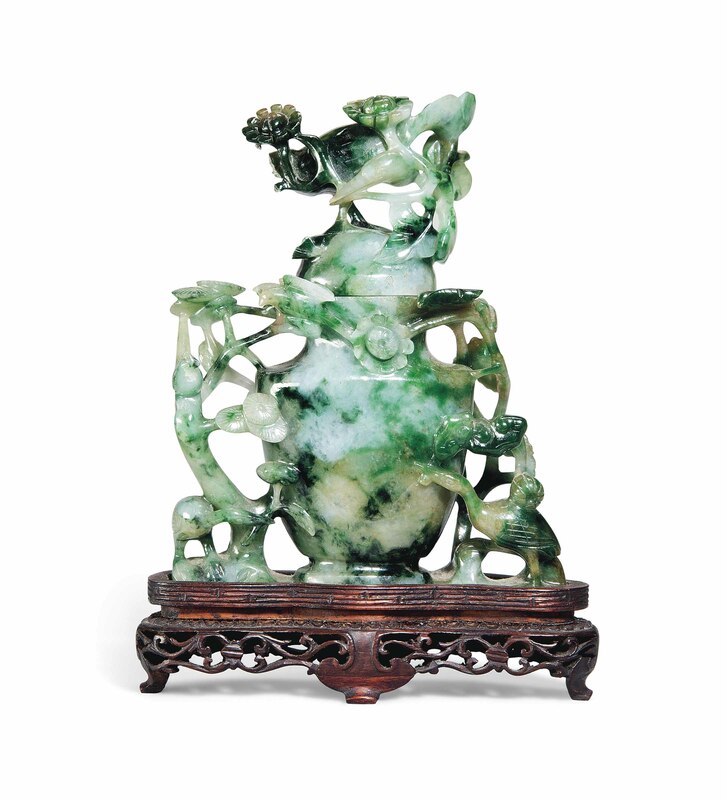 It is carved and pierced with a bird holding a ruyi, a branch of pine and a branch of flowers. The domed cover is surmounted by a bird and flower spray. The stone is of a mottled apple and spinach green tone.